Mordian 7th Regiment: Back from NOVA! Made it back from NOVA last weekend and barring some shenanigans on the part of United on the return flight (imagine that), the whole trip was an absolute blast! The charity auctions went over like gangbusters, and as of Saturday night they were well on their way to smashing previous year's records. Facing down Todd Sherman's absolutely gorgeous Raven Guard was a particular highlight of the weekend for me. Staring down the barrels of the superheavy probably wasn't the best tactical use of my terminators, however! 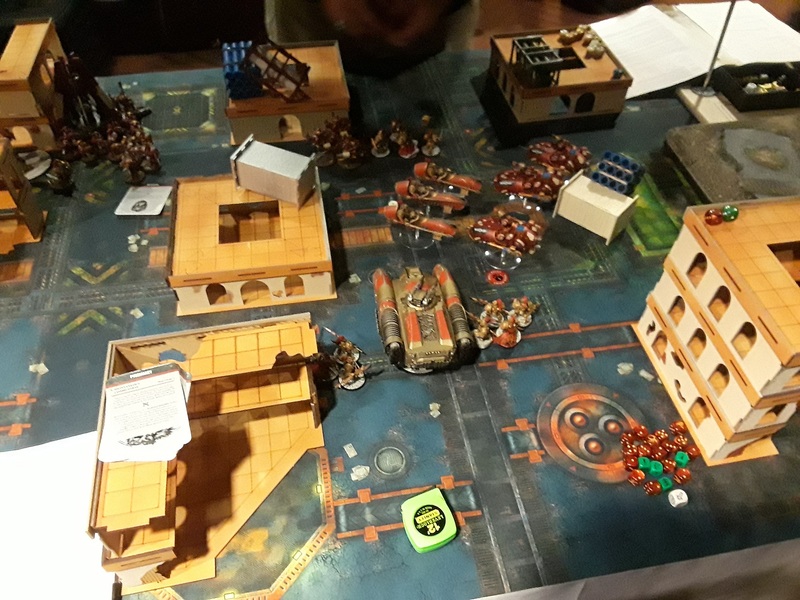 One of several grudge match games vs. a friend's Custodes. Tabled once and nearly again the second time. The boys in gold are dynamite! A rather fun doubles match with my Thousand Sons and Zhao-Arkkad Mechanicum vs. a spectactular Imperial Fists and Loyalist Mechanicum force. Quite possibly the most savage whooping that I've taken - Faced of against a beautifully painted Ultramarines army that just took my army apart. Was nearly tabled by the bottom of turn two - Just couldn't make a saving throw, or a morale check. Apparently Tzeentch deemed it was crucial that they lost that game! As usual, my photos were all pretty poor, but if you want to check out the gallery here's the ones that weren't totally worthless! You're better off however checking out Todd's Galleries at SincaiN40k and Greg's Galleries over at Feed Your Nerd instead - better shots of all the stuff! 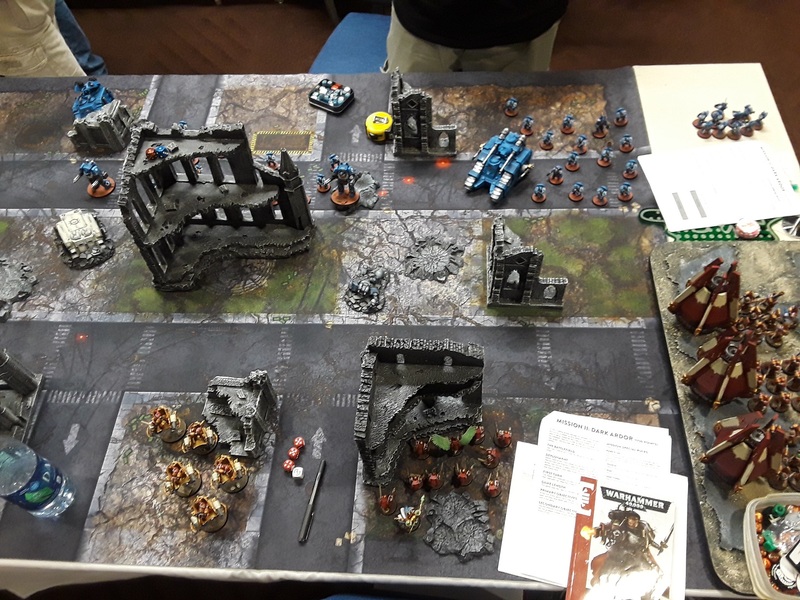 I also took a couple classes from Roman over at Massive Voodoo which absolutely blew my mind (gotta do more classes at events like these), and picked up a fair bit of stuff at the Forge World booth for the upcoming Sons of Horus project. Been itching to get started on 'em! 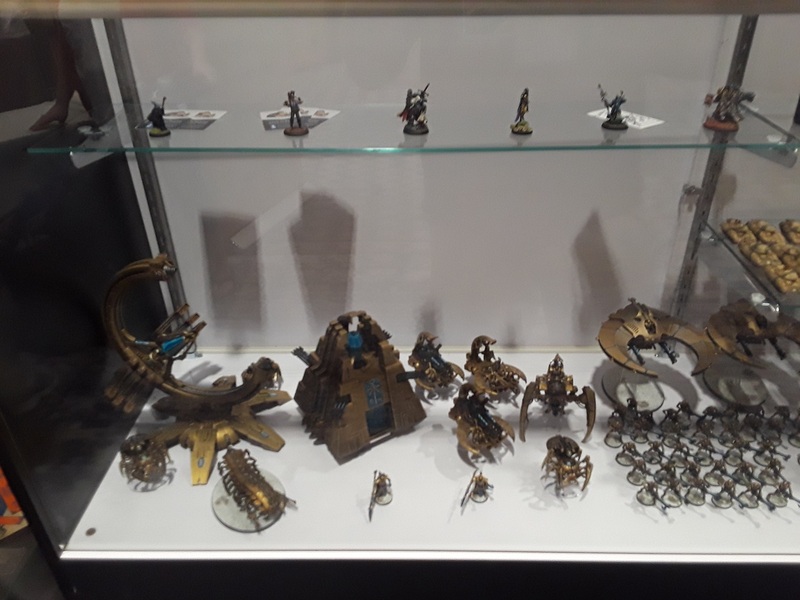 Speaking of, as is always the case my current army goes up on the auction block to help fund the next army, so if you're interested in a Thousand Sons Orbital Assault Force, the Khamasiin is currently up on ebay! Was wonderful to see you again Joel! Always a great time! SoH army ??!? Already drooling. @Greg Hess: Likewise, man! Hopefully next time we can get a game in! @Zzzzzz: Haha! It's bad for me, too - Already several hundred dollars into the project and haven't technically sold off the previous one yet. Doh! Glad you had an excellent time and thanks for links, somehow I missed Greggles post! The Mordian7th Paint train continues, shame to see your work go to auction block but the show must go on! Someone will get a steal, and I look forward to the next project! Always good to have an enjoyable pay off from these things. Bravo. Glad you enjoyed and good luck on selling off the latest army. Sounds like a blast, glad you had fun. I reckon tablings are a thing now in 8th so I wouldn't feel bad about it (I'm in the same boat!). Your win/loss ration is better than mine and seems like you really enjoyed it so thats the important thing. @Todd Sherman: Indeed - Great times man! Looking forward to our next clash! @Siph_Horridus: Haha! Been out of practice for the last month, gonna be good to get the painting servitor fired back up! 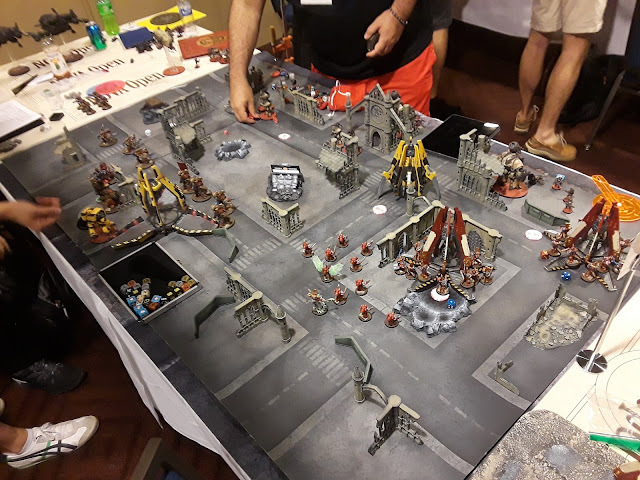 @Rory Priest: Absolutely, NOVA is hands down my favorite miniature event weekend, great times were had! @Michael Corr: You bet - was the highlight of my hobby year! @Monkeychucka: Hah! "Losing but laughing" has always been my motto. I may have lost the games, but they were all an absolute blast! 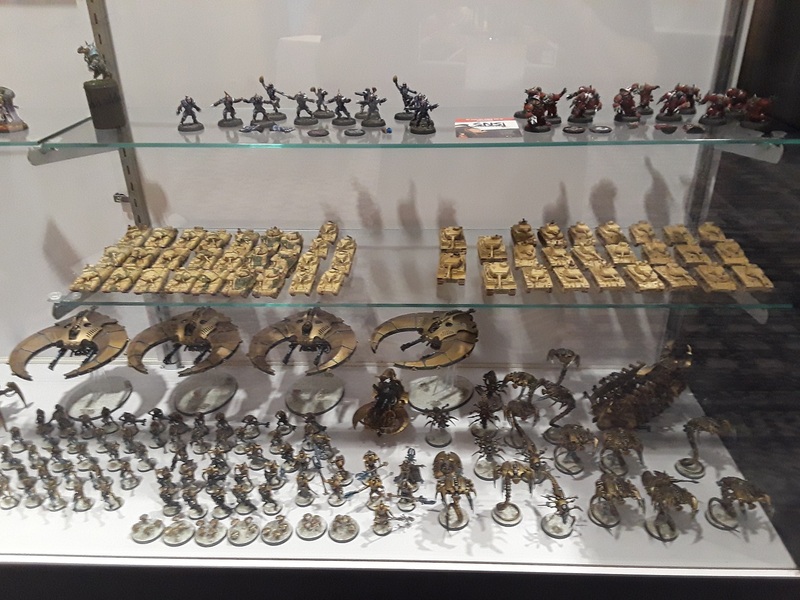 I have to admire your ability to keep selling these amazing looking armies on. Cannot wait to see the next project. All looking incredible as ever. 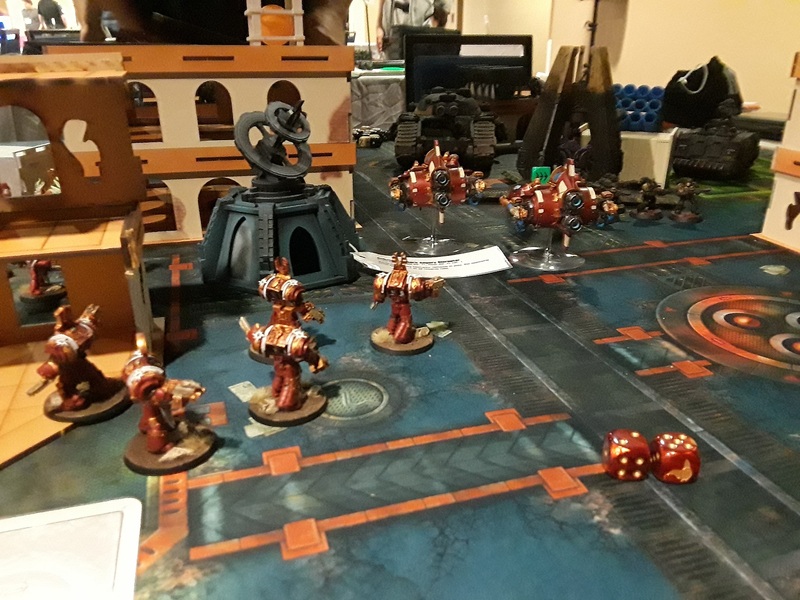 Those Thousand Sons are amazing on the tabletop. @Riot Ville: Hah! It's always a little painful, but fun to be able to plow the funds into a new project! @Colonel Scipio: Thanks very much, man! Dang it, NOVA keeps sneaking up on me. I keep missing the chance to drive out and meet you guys. There's always other cons, I guess (sigh).